Rate this Article Current VR headsets are often classed into two distinctive kinds. The bulky and obstrusive tethered high-end HMDs with amazing visuals and the low-end mobile phone HMDs with a somewhat less spectacular fidelity. The current trend would be a cross between the two where both quality and flexible mobility meet giving way to the standalone VR headset. If you've been fortunate enough to see the movie Ready Player One, you would no doubt have an idea of the future possibilities of Virtual Reality and the direction it is likely to be heading to. Virtual Reality or VR is such a wondrous thing but the current technologies that we have today can be viewed as one of the great hindrances in achieving the full potential of this reality. As it stands today, in order to experience this alternate world one has to don a contraption called a Head Mounted Display (HMD) to immerse oneself and separate from the real world. With this, places like the OASIS or the GRID isn't really that impossible to reach anymore. However, the best of these devices are quite bulky and consume a lot of computing power. They have to be tethered or connected to a computer or console and need additional external interfaces like cameras and lasers to track the movements of the users of these headsets. Not only that but they need space ample enough to accommodate around 6º of freedom or 6DoF allowing the user to move around the area unobstructed as this would be the movement or playing field within the reality. Simultaneously, an alternative method to get into VR was developed using the mobile smart phone as an entry point. Though much easier to use as it only required an HMD that could accommodate certain sizes of smart phones and run the VR program from there, they however lacked the visual fidelity or realistic quality that the high-end ones had. After all, you really can't squeeze that much power from a mobile phone. Also, you didn't have much movement options either as mobile devices currently only allow around 3DoF meaning you mostly stayed put in one location which the VR world makes reference to. You simply pointed with a controller at objects around you instead of actually going over to grab or interact with it. Limited as it may be, you don't need the external sensors that the high-end HMDs use as everything is built into the phone. Based on both of these, the direction in the development of the technology is sort of a combination of these two ways to get into VR namely high visual realistic fidelity and low powered mobility. However, the capacity to achieve high-end VR with mobile devices is in the development stage as well so we will really have to wait a little longer till we get there. The current solution would be to integrate the phone with the mobile HMD and boost up the processing power as high as possible to at least obtain an as much as possible or equivalent quality to high-end VR. The result is the current development efforts in standalone VR headsets. Again, stand-alone VR headsets are scattered across a varied spectrum of quality and capability. The lower end which is targeted at the average consumer level and bulk applications particularly in education which may require around 30-50 units for an entire class have lower prices and are basically an integrated mobile HMD devices with VR qualities a little higher than the current smart phone based headsets. Examples of these are the Oculus Go which is only around 200 USD and the Google-Lenovo Mirage Solo running at 400 USD. These two have improved quality as compared to the smart phones, have their own processor and internal memory which can be expanded, have high-end optics for better quality and are versatile in their use with internet access as well. The higher end standalones are still in development or in the beta test stage but the idea is to achieve the quality of the tethered ones and have integrated mobility as the ones above. 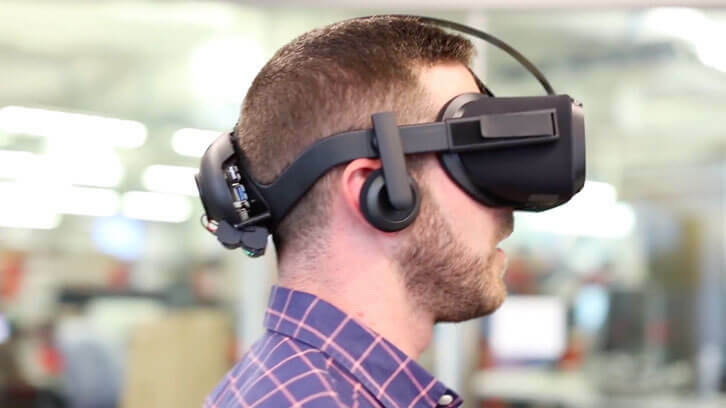 However time will tell if the purpose is achieved as they are being developed by both HTC Vive and Oculus and it is probably safe to conclude that they are simply making their tethered HMDs portable. The Vive Focus which has a current basic rate of around 635 USD has impressive visual quality. There’s the Pico Neo which has similar capabilities to the Focus but priced a little higher at 750 USD. Also, the much awaited Oculus Sta. Cruz Project at prototype stage and said to be the best of the lot won't be far behind. At this point it would still be too early to tell whether these standalone devices will be able to really deliver the integrated advantages that they promote as time goes by and issues such as battery life limitations, content availability and others will have to be ironed out as well.